Ever wonder how you can combine a still image with a video? Time & Stillness was the theme of the first project from my Hybrid Photography class - where we learn how to use the dSLR as a video tool as well as being an image capturing tool. We looked at many videos to come up with a tableau of our own. In this case, I wanted to play with the idea of cake and that it is used in the typical ritual of birthdays and celebrations. "The work plays with the absence and presence of a celebration. The photograph is a picture of the cake itself lit up. 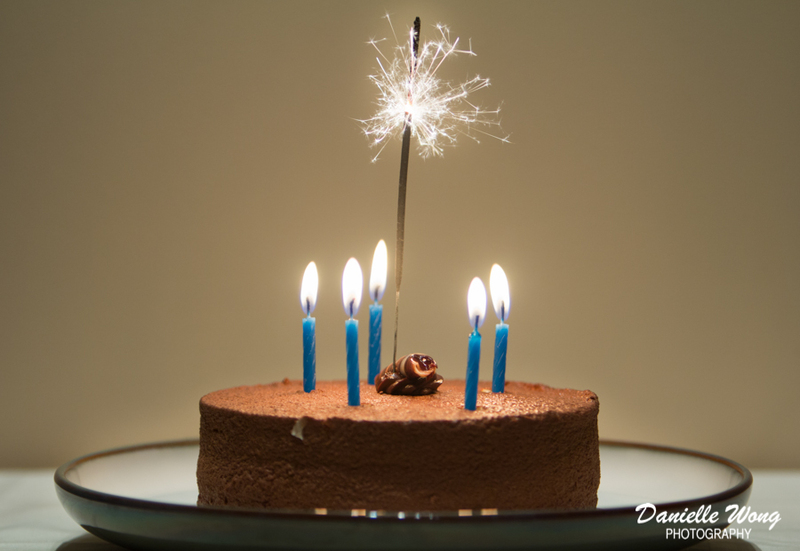 The in-action capture of the sparkler and the candles, create a portrait of the cake in its entirety. The everlasting of the celebration is captured in the photograph. However, the video represents the celebration from beginning to the end. The image and the video help to convey a celebration or ritual shared between two people who are absent and present. The two mediums play off one another in that the image represents an ever-lasting celebration that has no end. Moreover, the video is a performance of the ritual. The cake’s candles are blown out, then taken apart, and finally eaten. The stillness becomes the timeless piece. The image depicts an endless celebration, one that takes place everyday in society. On the other hand, the timepiece plays a sequence, a story with a beginning and an end. To conclude, I feel that both mediums work well with one another as they both speak to the same subject matter but in different and effective ways." Oct 1'13 - "cake." - A new project from my Hybrid Photography class this year.